The 1948 war was fought over the Muslim majority state of Kashmir ruled by a Hindu ruler, who did not want to accede to Pakistan. The specific sole and immediate aim of this chapter is to briefly analyse the 1948 war and to explain why Pakistan failed to achieve, what was within its grasp and why the Indians despite their overall material superiority could not achieve as much as they should have done. The morality of Kashmir dispute and who is morally right is beyond the scope of this book, except the simple point that as far as the broad mechanics of the philosophy governing the partition of India was concerned; i.e. division of India on a communal basis and as Non-Muslim and Muslim India, Kashmir should have been a part of Pakistan. There are detailed accounts of the Kashmir Dispute and whole books have been dedicated to it, a reader interested in this dispute should study those books. So we shall directly move on to the exact discussion of military mechanics of the 1948 war. Theoretically, a Princely state could join any state i.e. India or Pakistan or stay independent. The choice of country was left entirely to the rulers of the princely states. As far as physical propinquity was concerned the state of Kashmir had all road rail and river communications with Pakistan and none with India. As far as the sentiments of the population were concerned, everything indicated that they did not want to join Hindu majority India. The ruler Hari Singh was not inclined to joining Pakistan. In the third week of August 1947 the Kashmir State Force opened fire on a political meeting at a village near Dhirkot in Poonch district. On 24 August 1947 the Muslims of the area started a small rebellion under Qayyum Khan an ex sepoy from the army. Other similar rebellions of small scale broke out in various parts of the state and the state forces were soon dispersed all over the state in internal security duties. It may be noted that the Kashmir State Forces consisted of nine infantry battalions out of which had the communal ratio of 22.2 % Muslim, 5.5 % Sikh and 55.55 % Dogra 1. While all this was going on Hari Singh the ruler of Kashmir kept sitting on the fence, inclined to joining India, but unable to arrive at a firm resolve to do so for fear of the backlash against this decision from the Muslims, who constituted the 75 % majority. The situation was getting very swiftly out of control of the Maharaja’s forces. There were more than 60,000 demobilised Muslim ex- servicemen who were World War II veterans, and many of these men formed militias and started harassing the dispersed state forces and harassing the various roads and bridges in the state. By 15th October these militias forced the State Forces to abandon Fort Owen, around the same time the Dogra communication between Kotli and Poonch was severed and the state forces Muslim troops had mostly deserted and joined the rebels while the non- Muslim units were besieged at Bhimbar, Mirpur and Mangla3. It must be remembered that at this moment the Pakistani GHQ was not involved in the operations. The Muslim League’s high command had tasked Mian Iftikhar ud Din Minister for Refugees to prepare a plan aimed at ensuring that the Muslim majority state of Kashmir should join Pakistan. Brigadier Akbar Khan then serving in the Pakistani GHQ wrote an appreciation ‘armed revolt inside Kashmir ‘ on Mian Iftikhar ud Din’s request. It appears that Mr Jinnah had tasked Liaquat to handle the Kashmir business. Liaquat in turn earmarked Mian Iftikhar ud Din. Iftikhar requested Sardar Shaukat Hayat and Brigadier Akbar Khan for advice. A conference presided by Liaquat was held at Lahore in September 1947. This was attended by Akbar whose appreciation had already been shown to Liaquat by Iftikhar ud Din earlier. Ghulam Mohammad the Finance Minister who was a contemporary of Liaquat at MAO College Aligarh4 and at this time was foremost in playing sycophant par excellence with Liaquat also attended the conference. Brigadier Akbar recalls that everyone was enthusiastic but no one including the Prime Minister had any concrete idea about the tangible and concrete aspects of the actual plan of operations, specially as far as the logistic and armament aspect was concerned. Shaukat was appointed as overall incharge with Major Khurshid Anwar (Retired) commanding the northern tribal force which was as per Akbar’s appreciation to attack on Muzaffarabad-Srinagar axis and Major Zaman Kiani of the INA to command the southern force tasked to operate against the Kathua area in the south. Shaukat Hayat was not in favour of appointing Khurshid Anwar since he was a non-fighting arm soldier. Shaukat states in his book that Liaquat under Ghulam Mohammad’s influence appointed Khurshid Anwar, then commander of the Muslim League’s semi-military national guard to command the main northern invasion force. Akbar was to provide logistic support to the tribesmen which were to be employed for the invasion. There were three principal parties in the whole invasion affair. On one side was the Muslim League leaders like Shaukat Hayat (an ex-major) Iftikhar ud Din and Khurshid Anwar who had been ordered by Mr Jinnah to do something to help the Kashmiri Muslims. Then there were the tribesmen who were concentrating at Batrasi opposite the Kashmir border and there was Brigadier Akbar Khan a Burma DSO who was Director of the newly formed Weapon And Equipment Directorate at the General Headquarters, tasked unofficially to support the tribal raiders logistically, using all resources at his disposal in GHQ as Director Weapons and Equipment without letting the Britishers controlling the Pakistan Army know! The tribesmen were brought from the NWFP tribal areas on trucks requisitioned by Government of Pakistan and concentrated in Batrasi north-east of Abbottabad. The invasion was to commence from 20th October 1947; the main northern tribal force invading Kashmir under Khurshid Anwar on Abbottabad-Garhi Habibullah-Muzaffarabad-Srinagar axis with a smaller auxiliary force advancing along Murree-Kohala-Muzaffarabad axis. The official history does not mention the Lahore conference presided by Liaquat but merely states that ‘Major Khurshid Anwar (as a result of some divine revelation!) undertook to organise and lead (whether voluntarily or on someone else’s orders is left to the readers’ imagination!) the tribesmen intoKashmir when the opportunity arose’ ! In addition Major Aslam Khan an ex- Kashmir State Force Officer and a MC of WW Two also joined the Lashkar. The Lashkar of tribesmen had been assembled by the efforts of Khan Khushdil Khan of Mardan. On the night of 20/21 October 2,000 tribesmen captured the bridge spanning the Neelam river on the Hazara Trunk Road linking Muzaffarabad with Abbottabad without a fight, since the all Muslim guard platoon of 4 Jammu and Kashmir Infantry joined the tribesmen. Geography, weather, sentiments of the bulk of the population, initial comparative location of regular army troops available for action in Kashmir and the layout/alignment of communication; all favoured Pakistan.Rawalpindi was not more than 47 miles from Abbottabad, 51 miles from Murree and 95 miles from Muzzafarabad. All the major road and rail links to the state ran through Pakistan. The likely direction through which the Indians could rush in the reinforcements ran through a dirt road from Pathankot to Jammu and from here to Riasi across the Bannihal Pass (snowbound from November to March) to Srinagar which was more than 257 miles long. Whereas Muzaffarabad was linked to Srinagar by an all weather tarmac road without any major water obstacle or any serious gradient. The distance between Srinagar and Muzaffarabad was less than 100 miles. The only rail link of the state was the one connecting the town of Jammuwith Sialkot in Pakistan. The only way Indians could reinforce the State and save its capital Srinagar was by airlifting troops to Srinagar. If Srinagar was captured the whole Kashmir vale and the entire northern areas including Ladakh could no longer be held by the Indians. There were no subtleties or complexities of operational strategy in the whole situation except following one simple straightforward plan ie; a bold and swift advance to Srinagar assisted by a troop or squadron of armoured cars. We will discuss in brief in the following paragraphs what actually happened and the major reasons which led to failure. The entire Kashmir War of 1947-48 was fought over a large area comprising more than 89,000 square miles and over the highest mountain barriers in the world. However the innumerable actions of the war studied in detail are confusing and do not provide the layman reader with a clear picture, thus the result is a situation in which the trees become more important than the whole forest. In brief the Kashmir War was fought in four areas, one of which was most important and the centre of gravity for the other three. These four areas were the Jhelum Valley or the Muzaffarabad-Srinagar Road, the Northern Areas comprising the Gilgit-Leh axis in the Indus Valley and the Zojila Passarea, the Poonch River Valley and fourthly the area between Jammu and Mirpur. The centre of gravity of the whole war was the Jhelum Valley, which was the only place where an advantageous decision could have been achieved at the earliest and in the relatively shortest time and space as far as the Pakistan Army was concerned; had the Pakistani political and military leadership possessed greater strength of resolution and independent spirit; than they actually did! 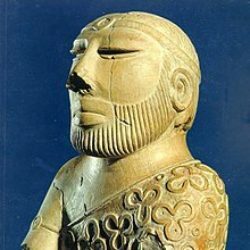 The fate of the war in Indus valley depended on the degree of success in theJhelum Valley since the Indian line of communication to this theatre lay through the Jhelum Valley. The fighting in Poonch river valley also depended on the success of the struggle for Jhelum Valley, since a Pakistani success in Jhelum Valley in terms of capture of Srinagar would have freed all Pakistani troops for a concentration against Poonch town from the north and would have definitely led to the capture of Poonch.The fourth sector of the war i.e. the area south of Bannihal Pass and between Akhnur Tawi river was the only area that the Indians could have held with a certain degree of success in terms of relative forces available, geographical location and the terrain factor. First of all we shall deal with the battles in Jhelum Valley on the Muzaffarabad-Srinagar Axis, the most decisive part of the whole war where the Indian position was most critical and hung on the razors edge.We have already seen that the tribesmen assisted by the Muslim elements of the Kashmir State Forces had successfully cleared Muzaffarabad-Domel area by 23 October. In terms of odds and comparative forces this was a predictable affair since the Hindu Dogra elements of the 4 Jammu and Kashmir Battalion, approximately two companies or about 350 men were dispersed in penny packets over an area of thirty miles, and were further internally weakened by having a 50% Muslim strength or two companies. Added to these the 2,000 tribesmen who attacked Muzaffarabad on 21 October achieved complete surprise since the crucial bridge over the otherwise impassable river Neelum (Kishanganga) was handed over to them by the Muslim guard of the 4 Jammu and Kashmir infantry, and all that they had to deal were isolated Dogra platoons dispersed in various localities separated by many miles. After capturing Domel the last Dogra held locality on the main road to Srinagar on 23 October in lorries and trucks. There was practically nothing between Muzaffarabad and Srinagar to stop the tribesmen. Brigadier Rajinder Singh the chief of staff of the Kashmir State Forces was a brave man. He rushed to Uri 63 miles west of Srinagar on the main Muzaffarabad-Srinagar road with 200 soldiers and blew a bridge spanning a nullah (water course smaller than a river) on the main road on 23 October 19476. This delayed the advance of the tribesmen and other volunteers who now numbered about 5,000 by one day. Brigadier Rajinder Singh who believed in leading from the front was killed in action on 24th October. The tribesmen resumed advance and captured Baramula which was 35 miles west of Srinagar on 26th October 1947. A very respectable Indian military historian has frankly admitted that ‘had the lashkar gone on,there was nothing between Baramula and Srinagar to stop it7’ The tribesmen sole motive was not liberation of Kashmir, and they started looting the town. Srinagar was just a few hours lorry drive away from Baramula. According to Sardar Shaukat Hayat who was one of the Muslim League men tasked to oversee the invasion the issue was Rs 300,000 found in the Kashmir State Treasury. Khurshid Anwar foolishly argued that this money belonged to Pakistan Government (as if the tribesmen were fighting just for two nation theory, while no Muslim League leader was sixty miles near Baramula!) while the tribesmen correctly asserted that it belonged to them8. Once this issue was settled the tribesmen who had no conception of Time and Space factor insisted that they will not move before the three day Eid festival was over9. In the meantime the Indian GHQ was acting real fast. The Maharaja of Kashmir had been requesting the Indian government for military aid since 24th October and on 26th October signed the Instrument of Accession joining India. Meanwhile the Indians had already sent a staff officer from their military operations department on 25th October to study the military situation. (incidentally, see this account from Field Marshal Manekshaw for his memory of how the operation was set in motion) The Indians collected 30 Dakotas for the airlift and flew two companies of 1 Sikh to Srinagar on 27th October from Willingdon airport near New Delhi. At this moment the Indian situation was highly critical; only 40 men were holding a weak defensive position 5 kilometres east of Baramula. It was Indian good luck that all commanding officers during this situation believed in leading from the front, Lieutenant Colonel Dewan Ranjit Rai the Commanding Officer of 1 Sikh being another such man. Dewan on landing at Srinagar immediately rushed in lorries to Baramula hoping to stop the Lashkar at the mouth of the funnel which opens east of Baramula into a wide valley as one advances from Baramula towardsSrinagar. 1 Sikh joined the state troops 5 kilometres east of Baramula, but could not hold the Lashkar of 5,000 men. Dewan was killed in the fighting and the remaining elements of 1 Sikh withdrew eastwards losing 24 men (killed) to take another defensive position at Patan 25 kilometres west of Srinagar10. On 28th more Indian troops flew into Srinagar and the balance of strength started tilting in Indian favour. The tribesmen who were used to fighting based on hit and run tactics could not use weight of numbers in the open valley and resorted to bypassing tactics instead of the conventional infantry attack. They bypassed 1 Sikh’s position at Patan from the flanks but was forced to stay close to the main road since manoeuvrability in the whole area was restricted by marshes and small lakes and the lashkar Pathans were by and large non swimmers11! By 2nd November the Indians had flown in a very strong infantry brigade (161 Brigade) consisting of approximately four battalions into Srinagar. In addition the overall command of Indian Army operations in Kashmir was entrusted to Headquarters Jammu and Kashmir Force based at Srinagar and headed by Major General Kalwant Singh. The commander of 161 Indian Infantry Brigade(from 2nd November) was Brigadier L.P Sen a Bengali Hindu with an excellent Second World War record (unlike the first Muslim C-in-C of Pakistan Army as we shall discuss later) in Burma where he had won a Distinguished Service Order12. The tribesmen had lost the really golden opportunity to capture Srinagar on 27th October. There is no doubt that Pakistan had lost its first decisive battle without the Pakistan Army’s direct involvement. All was not over still; and another major opportunity to capture Srinagar was yet to be lost. We will discuss this in a subsequent paragraph. It may be noted that Mr Jinnah had ordered General Gracey the British Acting C-in-C (Messervy being on leave) of the Pakistan Army to attack Kashmir. Gracey who had been handpicked by Mr Jinnah on the grounds that Field Marshal Auchinleck the Supreme Commander of both the armies did not allow it!13 Auchinleck flew to Lahore the next day and convinced Mr Jinnah to retract his order. Auchinleck’s threat that all British officers would be withdrawn in case such an order was pressed further convinced Mr Jinnah into retracting this order14. Mr Jinnah was unlucky unlike Nehru in having no Patel by his side. When Bucher the British C-in-C of the Indian Army advised the Indian government not to attack Hyderabad till the Kashmir War was over,and Patel insisted otherwise, Bucher threatened to resign. Patel simply told him on the spot that he could resign and then ordered Sardar Baldev Singh,the Defence Minister ‘The Army will march into Hyderabad as planned tomorrow morning’15. Mr Jinnah was undoubtedly; by virtue of having taken an iron and most resolute stand on the division of the Indian Army; the father of Pakistan Army. It was remarkable that as a very sick 71-year-old man in 1947, Mr Jinnah possessed the tremendous Coup d Oeil (unusual strategic insight) and resolution to order Gracey in October 1947 to employ two brigades of Pakistan Army to attack Kashmir; one from Sialkot going for Jammu and one from Rawalpindi going for Srinagar !16 It was indeed a pity that he did not possess any adviser, who could be called a ‘Man’ (A MAN LIKE PATEL) of sufficient ability and independent judgement to convince him to override Gracey who was behaving little better than a glorified headclerk and mouthpiece of Auchinleck! The Indian GHQ ordered 7th Light Cavalry to be ready to move into Kashmir in the end of October. Its Hindu Jat Squadron equipped with armoured cars (this was from 6 Lancers which went to Pakistan) started movement from Ambala on 1st November and after a tough march reached Srinagar on the evening of 5th November. It has to be noted that although the Indians starting reinforcing Srinagar from 27th October onwards, the Indian superiority till the end of the first week of November was not as formidable as to ensure that Srinagar could not be threatened again, in case the Pakistan Army joined the tribesmen. This was so because the Indians were forced to defend simultaneously various locations which if lost could seriously jeopardise the whole Indian position inKashmir. Their communication from Pathankot to Jammu ran parallel and very close to the Pakistan border. Jammu the main town on their north-south communications was a few miles from Pakistan. In addition several Dogra garrisons at Bagh, Mirpur, Mendhar Poonch, Skardu, Leh etc were besieged by the various local militias and their fall could further exacerbate the Indian position in Kashmir. We had left the battle at Patan where 1 Sikh had taken a defensive position after being forced to withdraw from 5 kilometres east of Baramula. The tribesmen launched an attack on the reinforced Indian position at Patan on 30th October but failed to capture it due to intense strafing by Indian Air Force and the inherent defensive strength of the Indian defensive position which was well sited and dominated the area around. The tribesmen now decided to infiltrate, bypass the Indian position from both north and south and capture the Srinagar airfield, which was the centre of gravity of the whole battle. The tribesmen who were masters of guerrilla warfare successfully went into the rear of the Indian position from its south by infiltration (see definition) and managed to reach Badgam a village just a few kilometres away from the Srinagar airfield on 3rd November. Here they successfully raided and dispersed an Indian infantry company inflicting in the process an extremely heavy loss on the Indians in terms of men killed including the Indian Company commander Major Somnath Sharma18. The tribesmen were very close to establishing a roadblock between Srinagar airfield and town, but their paucity in numbers restrained them from doing so. At this critical juncture when no Pakistani politician ever dared to cross the River Jhelum (it may be noted that till ceasefire in Dec 48, no major Muslim League leader including the Prime Minister ever visited Kashmir!) in order to inspire and pat the indomitable tribesmen. The Indian political leadership was more energetic and on hearing about our indomitable tribesmen’s action at Badgam Sardar Patel the second most important Indian leader after Nehru visited Srinagar on 4th November19. Patel stressed the importance of holding Srinagar and assured the soldiers that reinforcements were on the way. There is one extremely important event which has generally been ignored by most Pakistani military historians including Shaukat Riza.This was a conference held between 30th October and 4th November. Brigadier Akbar Khan the military man incharge of the raiders operations had returned to Pindi after a visit to the frontline at Srinagar. The tribesmen had not yet been repulsed and were planning infiltration operations with the aim of capturing Srinagar airfield. Akbar Khan’s analysis about the operational solution to the problem of tribesmen’s inability to attack well entrenched Indian infantry, supported by aircraft and artillery was to provide the tribesmen with armoured cars. Major Masud from 11 Cavalry stationed at Rawalpindi volunteered to take his own squadron’s armoured cars to Srinagar, on his own initiative, without informing any superior headquarter. Akbar Khan states in his book ‘Raiders inKashmir’ that Major Masud said that the armoured cars would go without official permission, at his own risk and that the men would be in civilian clothes. This fact is proved by two independent authorities who were not from armoured corps and thus had no ulterior motivation or desire to project 11 Cavalry. One was General Akbar who was present at the conference and the other was Brigadier Amjad Ali Khan Chaudhry who was a gunner, and was also present at the same conference20. Akbar states that as the conference was coming to an end Raja Ghazanfar Ali Khan a Muslim League leader and Central Government Minister entered the room. Brigadier Sher Khan who was the Director Military Operations had also joined the discussion. This Raja Ghazanfar (despite being from a so-called martial area) was horrified about the armoured cars proposal, and according to both Akbar Khan and Amjad Chaudhry opposed the idea. He was supported by Brigadier Sher (Lion) Khan! Both the Minister and the Lion Hearted brigadier feared that such a step would lead to an open war between Pakistan and India21. Amjad Chaudhry states that one of the participants at this conference a Muslim League minister Raja Ghazanfar Ali Khan even voiced an apprehension that the unruly tribesmen may get unruly and damage the Maharajas palace at Srinagar22! Thus in the end Akbar Khan who was not directly in charge of the operations of tribesmen was overruled by a pacifist Minister more keen to enjoy ministerial perks and a paper tiger brigadier wearing the mask of the high-sounding appointment of Director Military Operations! The only difference between India and Pakistan was not whether one side possessed armoured cars or not, but the simple fact that while Mr Jinnah did not have any able Muslim deputy to advise him about military affairs (whether Punjabi, Hindustani or Pathan) Nehru was assisted by a much larger team of more resolute, more intellectually capable Hindu deputies like Patel who ensured that armoured cars of 7th Light Cavalry; under command Lieutenant N.G David; did reach Srinagar area on 7th November and inflicted on the poorly armed tribesmen equipped with bolt action rifles a defeat at what the Indians themselves call the decisive battle of Shalateng! It may be noted that on the night of 2/3 November the tribesmen had successfully infiltrated north of the Indian main position at Pattan and had reached Shalateng in the rear of Pattan and a little to the north of Srinagar. Sen the Indian brigade commander countered this move by ordering 1 Sikh to pull back from Patan and to take a position at milestone four astride the Srinagar-Baramula road. By 6th November a large number of tribesmen who had been slowly infiltrating since 3rd November had gathered at Shalateng. Major Aslam and Major Khurshid Anwar the Pakistani officers in charge of these tribesmen decided to launch their main attack on Srinagar on the night of 6/7 November. The Indian Brigade Commander Brigadier Sen was also simultaneously analysing this threat and had decided to launch a deliberate attack on this force supported by 7th Light Cavalry’s squadron on 7th November. Sen’s plan was to launch a frontal attack supported by aircraft while one troop of 7th Light Cavalry under Lieutenant David which had already been sent towards Bandipura on a recce mission and was already in the tribesmen’s positions rear was ordered by wireless to attack the tribesmen from the rear23. The result was the battle of Shalateng on the morning of 7th November. The tribesman had started their main attack by infiltration on the night of 6th November and were fighting on the northern outskirts of Srinagar when the Indians launched their main attack at first light. David’s troop had already got into the rear of the tribesmen as planned; thus while the tribesmen were attacked frontally by Indian infantry supported by armoured cars and aircraft, armoured cars were attacking them from the rear. This was too much for men armed with bolt action rifles. The tribesmen were routed and it was with great difficulty that the situation was finally stabilised at least temporarily at Rampura a narrow defile halfway between Baramula and Uri24. The abandonment of the conduct of war to tribesmen armed with bolt action rifles; while the Indians attacked them with Spitfires, Tempests, Harvards and Daimler/Humber/GMC Armoured cars was without any doubt one of the most disgraceful acts in Pakistani military history. Even in the whole of 1947-48 War. In all probability no regular Pakistan Army officer beyond the rank of captain was killed! An indicator that officers were not leading from the front. General Akbar Khan’s views about the whole affair at Shalateng are more controversial. 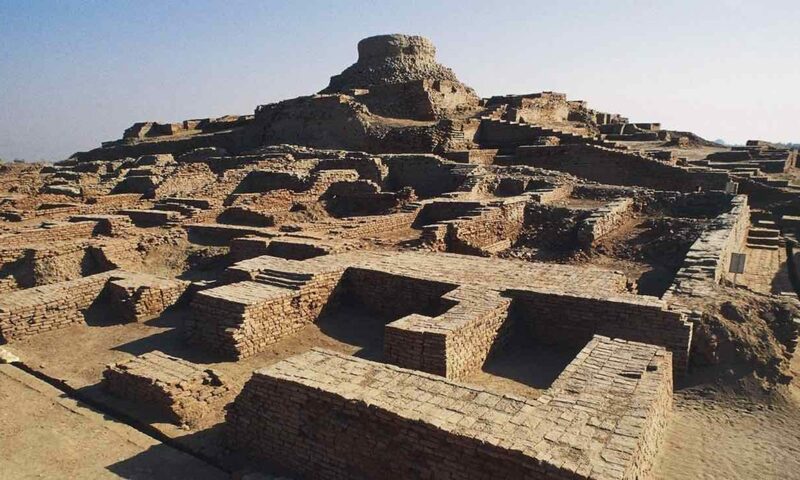 Akbar is of the opinion that, no battle ever took place at Shalateng, since the bulk of tribesmen had already withdrawn to Baramula on 5th November25. Akbar was not present at Shalateng and there is no doubt that a battle did take place at Shalateng; however it is possible that after appearance of the Indian regular army units supported by aircraft; and no similar counteraction from Pakistani side in shape of a similar commitment in terms of army/airforce involvement; it is likely that many tribesmen may have withdrawn from Srinagar area between 27th October and 5th November. Akbar was more accurate once he said in his book; ‘ They felt themselves let down by Pakistan. They had, of their own free will, agreed to come and fight in Kashmir but only against the State Army. In this they had done more than what was expected of them. But no one had arranged with them to fight also against the regular Indian Army, with artillery tanks and aircraft26. It must be noted that there was one very major difference between the tribesmen and the vast majority of Muslim League leaders like Ghazanfar Ali and men like Aslam Khan, Khurshid Anwar etc, i.e. ; these men and their ancestors since 1849 had been serving the British and even the Dogras (as far as Aslam Khan was concerned) and suddenly in 1940 or 1947 these men had become leaders of Pakistan or officers of the Pakistan Army; in contrast the tribesmen and their ancestors had been fighting the British with unequal intervals since 1849! Baramula was recaptured by Indians on 8th November and the Indians aided by their airforce which was attacking the entire tract of road between Baramula and Muzaffarabad27 continued their advance towards Uri. The Indian Prime Minister Nehru visited Kashmir on 11th November and travelled in an armoured car of 7th Light Cavalry till Baramula28. Compare this with the attitude of the Pakistani politicians. Neither Liaquat the Prime Minister nor any single of his ministers; Hindustani, Punjabi, Sindhi, Bengali or Pathan crossed river Jhelum29. The attitude of Gracey in not agreeing to commit the army to Kashmir, however disgraceful and negative can be explained by saying that he was a foreigner! According to Akbar, Messervy was the main culprit for spreading a fear of Indian reaction in Pakistan Army. ‘Messervy addressing a meeting of G.H.Q officers warned us against hostilities with India. He said that, in his opinion, in case of war India would overrun Pakistan within ten days’ 31. Compare this negative attitude with the Israeli Army which defeated far better armed and well organised Arab armies in the 1948 War. Just 30,000 Jews had served in the British Army in the second world war32. More than 600,000 Muslims, more than half of them from areas which constituted Pakistan had fought in the Second World War and yet the Pakistani leadership was unwilling to stand on its own feet preferring the two unreliable British crutches i.e. Messervy and Gracey! Mr Jinnah had already done too much for the army by insisting on the division of Indian Army, against tremendous opposition on part of the Britishers. The great tragedy was that Mr Jinnah was surrounded by men of zero military insight and devoid of all independent judgement. The Secretary of Defence, Mirza being a man who had never fought in actual war and the Muslim League politicians who were only good followers! According to General Akbar Khan the tribesmen were so demoralised and disappointed by lack of Pakistan Army support that they withdrew from the frontline opposite Baramula on 31st October and 10th November, and withdrew to Uri area, contemplating about returning to the tribal area34. Had the Indians possesses sufficient resolution or a commander with coup d oeil there was nothing stopping them from capturing Muzaffarabad between 31st October and 10th November. The same viewpoint is advanced by the official history35. The probability that Akbar Khan who wrote the famous book ‘Raiders in Kashmir’ or Major Aslam, whose personal account was one of the many personal accounts used by the official historians who compiled the official history dealing with operations in Kashmir, were exaggerating their own role cannot be ruled out. There is one fact, however, that stands out as the crux of the issue, and which still raises the stature of the tribesmen higher than both Akbar or Aslam; i.e. the fact that the initial shock of the tribal onslaught onSrinagar was so traumatic that it imposed a ‘once bitten twice shy approach’ on the mind of the Indian Commanders. This ensured that the Indians despite the absence of any tribals in front of them; (as Messrs Akbar and Aslam allege) were in no mood to advance hurriedly towards Muzaffarabad after having captured Baramula. After 10th November according to Akbar Khan the Mahsud and other tribesmen returned and played a major role in stabilising the front between Uri and Muzaffarabad36. As one advances westwards from Baramula to Uri the Jhelum Gorge becomes narrower and the defenders task becomes easier while the attackers task becomes more difficult. The Indian Army although supported by aircraft artillery and armoured cars was too psychologically shattered to advance rapidly westwards, despite the fact that most tribesmen were not fighting the battle, at least temporarily few demolitions and a few snipers who were too motivated to withdraw stopped the Indian advance approximately 3 miles west of Uri37. The official Pakistani history is hell bent upon giving the credit for this to Aslam Khan, while Akbar Khan also claims the credit for having stopped the Indians. The tribesmen who did the actual dirty work of fighting were never consulted by the authors of the official account! The start of snowfall from first week of December ensured that no major fighting took place between December 1947 and April 1948. The Indian problem like Pakistan Army as we shall see later, was not lack of valour, for there was plenty of valour at the lower level; but lack of resolute leadership at the higher level. In the same Uri area there was a living legend of the pre-1945 British Indian Army; i.e. Jemadar Nand Singh a Punjabi Sikh who (as a Naik in 1/11 Sikhs) had won the Victoria Cross in Burma at the Battle of Buthidang in Arakan on 12th March 1944 for having cleared three Japanese foxholes singlehandedly39. But there were no Rommels or Nicholsons or Bluchers. Thimaya who came to Uri area later was a little better than other Indian commanders, but his initiative was limited and kept in check, by the higher military Indian commanders. The battles around Srinagar, although small in terms of size of forces involved were the most crucial battles of the Kashmir War. By 13th November when the Indians captured Uri the remotest chance of any future threat developing ever again to Srinagar was removed. The Srinagar Valley was the heartland of Kashmir. Possession of it meant that the Indians could reinforce and relieve its besieged garrisons at Leh, Skardu, Poonch. Attack Muzaffarabad, Tithwal, Kargil and mount air attacks on all supply routes onMurree-Muzaffarabad-Uri Road, Kaghan-Babusar-Chilas track, all tracks and roads around Poonch etc. The next logical Indian operational objective should have been to straight thrust westwards from Uri to Domel-Muzaffarabad and close the main raider point of entry into Kashmir. We have already seen that the Indians were too psychologically shattered to do so. Instead they wasted their strength in various relief operations which we will discuss in brief. Since September-October various Kashmir State Forces garrisons consisting of Hindu Dogra troops were besieged all over the state by the tribals who had entered various parts of Kashmir and by local Kashmiri Muslim militias of ex-World War II veterans. The besieged garrisons were defended by numerically small forces and started surrendering one by one; Bhimbhar and Mendhar on 3rd November, Bagh was abandoned by its non-Muslim garrison on 9th November which broke out to join Poonch Garrison. Rajauri was captured by the Militia/Tribals on 12th November and Rawalakot whose defenders managed to breakout and join Poonch around the same time40. In various Pakistani and Indian accounts both sides accuse each other of atrocities against prisoner women and other non-combatants. I have deliberately avoided discussing these, since; the subject of this book is not ethics or human rights violation. I am of the firm conviction that both sides were guilty of this charge and both i.e. the Tribals/Militia and the Dogras/Indian Army were not angels or philanthropists by any definition; the best course being to accept the fact there were villains in higher proportion on both sides as far as the Non-Regular Forces i.e. Kashmir State Force and Tribals/Kashmiri Militia were concerned. In mid-November the Indians brought another regular army brigade i.e. 268 Infantry Brigade in Kashmir. The Indians were not wholly successful in executing this plan. Tribal/Militia resistance was tough and the terrain difficult, and the Uri force could not relieve Poonch but managed to breakthrough to it and reinforcing it with one battalion. The force attacking northwards from Jammu i.e. 50 Para Brigade succeeded in capturing Nowshera Jhangar and relieving Kotli garrison on 26th November. However, news of fall of Mirpur which had been captured by the tribals/militia on 25th November forced the Indians to abandon Kotli, which could not be defended, while Mirpur was in hostile hands. Around the end of December the Indians inducted another regular army brigade inKashmir i.e. the 80 Infantry Brigade in area Chamb-Akhnur. This brigade captured Chamb on 10th December and had been captured by the militia soon after the rebellion started in October. It may be noted that the 50 Para Brigade was commanded since end of November by Brigadier Usman an Indian Muslim officer who had decided to opt for the Indian Army42. Intense fighting involving small size forces took place in area Bhimbhar-Jhangar-Mirpur etc; we will not discuss these minor actions since they did not have any major impact on the overall strategic situation in Kashmir. It may be noted that the Indians were extra sensitive about the security ofJammu and had deployed two squadrons of Stuart Light Tanks (one from 7th Light Cavalry and one from Central India Horse) at Jammu from December onwards. In addition a squadron of Sherman Tanks (Deccan Horse) was stationed first at Samba on the Pathankot-Jammu road from January 1948 and later moved to Jammu44 . It may be noted that the overall incharge of all Indian Army operations inKashmir was Lieutenant General Russell in the capacity of General Officer Commanding in Chief, Delhi and Punjab Command. This Russell performed his task most religiously and ably in marked contrast with the two inefficient British crutches employed by Pakistan i.e. Messervy and Gracey. British government however had imposed a ban on Russell’s entry in Kashmir, and Russell who was a brave man and a good soldier asked the Indians to either lift this ban or relieve him of his command. Once the ban was not lifted the Indians replaced Russell by Lieutenant General Cariappa on 20th January 1948 45. We will now briefly deal with the Gilgit Rebellion which led to the liberation or capture of Northern Areas of Kashmir State by anti-Maharaja Muslim forces. The Northern areas comprised the areas of Baltistan, Gilgit Wazarat and Ladakh. Gilgit was leased to the British in 1901. The British had raised an all Muslim para military force known as Gilgit Scouts under British officers to garrison the area and to act as a scout and early warning force against an invasion from Czarist Central Asia. In 1947 once the Britishers were withdrawing from India they returned the area to the Kashmir State. The area was all Muslim and Dogra rule was unpopular. The Maharaja sent a new Governor and some Kashmir State troops to take over the area. Once the Gilgit Scouts realised that the Dogras (Kashmir State) were planning to disband them46, they planned a rebellion against the Dogra rule in which their two British officers i.e. Major Brown and Captain Mathieson who were dedicated enough to identify themselves with their Muslim rank and file also joined. The total strength of the Gilgit Scouts was 582 men47. There were no Kashmir State Force troops at Gilgit the capital of the Gilgit Agency where the Dogra Governor Brigadier Ghansara Singh was housed. The nearest Kashmir State Force Unit i.e. 6th Jammu and Kashmir Infantry Battalion was at Bunji 36 miles south of Gilgit. This unit had two companies of Punjabi (Kashmiri Muslims from Poonch area) Muslims and two of non- Muslims. (one Hindu Dogra and one Sikh)48. When the Scouts received news of accession of Kashmir State on 28th October, they planned a revolt and executed their plans on 4th November capturing Gilgit and placing the Dogra Governor Ghansara Singh under arrest. The scouts also seized Bunji without much effort since the non-Muslim troops, who were overwhelmingly outnumbered, were too demoralised to put up a fight. Some of them took the great risk of attempting to escape towards Skardu in Kashmir State territory or Astor on the Gilgit-Bunji-Srinagar route, however few of these reached Skardu. The Gilgit Scouts initially proclaimed an independent Republic, but later, probably keeping in view the more dangerous regular Indian Army intervention threat; decided to join Pakistanin mid November. The Pakistani Government sent Lieutenant Colonel Aslam Khan (the same Major Aslam of the Srinagar operation) as overall commander of military operations in Northern Areas. Aslam Khan reached Gilgit in December 1947. It may be noted that in most Pakistani accounts written by either non-Northern Area/Punjabi etc officers all credit for the success of operations in the Northern Area is heaped on Aslam Khan. From 1979 onwards when my father was commanding a brigade group in Northern Areas and on various other occasions when I visited Northern Areas during the period 1979-97 I met various veterans of 1948 war and questioned them about Aslam’s role. The general consensus of opinion was that Aslam had limited role in planning or executing these operations and that the most active part in the planning and execution was played by Major Ehsan (Kashmir State Forces) and Lieutenant Shah Khan (Gilgit Scouts) but Aslam being a regular army officer, having excellent contacts, and because he was the overall commander robbed both of all the credit. Aslam had lobbied for the appointment and got it on the basis that his father had served the Dogras before 1947 and that he knew the area. The Gilgit Scouts and the Muslim companies of 6th Jammu and Kashmir conducted their operations after the capture of Gilgit/Bunji on three axis. It may be noted that following the fall of Gilgit, a large number of locals of Gilgit and Hunza had volunteered for military service and the total strength of the Scouts reached the figure of approximately 2,000 men49. The Ibex Force (approx. 400 men) was given the objective of advancing on axis Gilgit-Skardu under the indomitable Major Ehsan Khan; with a view to capturing Skardu which was held by a Dogra battalion. The Tiger Force under Captain Hassan Khan (400 men) was tasked to advance on axis Bunji-Kamri-Gurais-Bandipura; the axis which the Indians were likely to adopt; after the snow melted in early 1948 to capture the Northern Areas. The Eskimo Force (400 men) under Lieutenant Shah Khan was to move from Astor through the snow bound and uninhabited Deosai Plain above 10,000 feet and attack Dras-Kargil and Zojila Pass area from the rear severing the communications of the Dogra garrisons holding Dras-Skardu and Leh with the Kashmir valley/Srinagar area. The operations of the Gilgit Scouts in the Northern Areas are the most fascinating and inspiring part of the entire 1947-48 War, however, for lack of space we will discuss them in a very brief manner. The Ibex Force commenced its advance along northern bank of Indus river in end January 1948 and besieged the Dogras at Skardu from 12 February. The Dogras were vastly outnumbered and their defeat; keeping in view numerical disparity, limited supplies and distance from Srinagar; was a foregone conclusion. Despite all their tangible inferiority the Dogras led by Lieutenant Colonel Sher Jang Thapa; an extremely resolute commander and a very chivalrous human being as far as treatment of non-combatants was concerned50 held on till14th August 1948; when 200 of his garrison broke out towards Kargil, while Sher Jang with the remainder 250 of his troops surrendered51. The Indians had made many attempts to relieve Skardu, but these were foiled by the Scouts/Volunteers who defeated the various Indian relieving columns by laying some very unconventional and brilliant ambushes on the Skardu-Kargil Road. Dras on the Kargil-Skardu road was captured by the Gilgit Scouts on 6th June 1947. In June the Scouts finally advanced towards Zojila Pass the gateway toSrinagar Valley from the east. Zojila Pass (11,578 ft) was captured by the Gilgit Scouts under the leadership of Lieutenant Shah Khan on 7th July 1948. The Gilgit Scouts also advanced towards Leh about 160 miles east of Skardu in the Indus valley, but could not capture it since, their relative numerical inferiority, lack of adequate logistic support and a majority of non-Muslim population in the area, made the success of their operation doubtful. By mid-July the Scouts, without any regular army troops had liberated the entire Northern Areas and had reached the administrative boundary of Srinagar district holding an area stretching in the west from outskirts of Bandipura 40 miles north of Srinagar, holding Zojila Pass 62 miles east of Srinagar and at Nimu few miles west of Leh. The Scouts had achieved more than their actual potential warranted and could only be praised for doing what they did. It was not possible for the Scouts any further, since an advance west south or east of the line they were holding would have brought them into open territory, where high mountains and steep cliffs and high altitude were no longer present to act as force multipliers and where the Indians could effectively employ their regular army supported by modern artillery, aircraft, armoured cars and tanks. In April 1948 the Indians launched an attack which at last forced Pakistan’s unassertive civilian leadership to finally convince the British crutch that they had employed to finally commit the Pakistan Army into Kashmir. By this time Nehru had already sacked the first British Chief of the Indian Army i.e. General Sir Rob Lockhart,K.C.B,C.I..E ,M.C for inefficiency in conducting the Indian Army operations in Kashmir58. Mr Jinnah possessed an iron will imprisoned in a very weak body;unfortunately to balance this deficiency his prime minister and the entire cabinet possessed stronger bodies but much weaker spirits. In 1917 after the Bolsheviks were successful in Russia,Trotsky a total civilian organised the Red Army from a scratch employing communist party members as commissars and ex Czarist officers at gunpoint to fight a civil war against more experienced armies led by generals and assisted by the entire might of the victors of the first world war i.e. Britain and France. Thus the Red Army the brainchild of a civilian defeated far more experienced troops of the White Army who enjoyed the full military and economic support of Britain in a savage civil war lasting over four years (1918-22). Mr Jinnah the founder of Pakistan was as great a man as Lenin or Mao,but was not assisted by a capable and motivated team.The Pakistan Army had fought no crippling war like the Russian Army in 1918 i.e. one in which the Russian Army had lost more than 91,50,000 casualties including 17,00,000 killed59. Pakistan was not the result of a revolution but a constitutional transfer of power. But Mr Jinnah was like a piece of rock in empty space,a lone lighthouse in a sea of mediocrity. Mr Jinnah’s advisers, all his handpicked colleagues including the Prime Minister lacked independent judgement and resolution to advise him successfully into committing the regular Pakistan Army in Kashmir! Apart from Mr Jinnah no other Pakistani politician possessed the courage to spur, prod or overrule the British C-in-C the way men like Nehru and Patel did in India. 99% of Muslim politicians who constituted the Cabinet including the Prime Minister had never participated in any serious anti-British political movement before independence and had never been to jail unlike 90% of Congress leaders! 99% of them except Mr Jinnah had not even openly and directly criticised the British government inside the relative safety of the floors of pre 1947 Indian Legislative Assembly! The situation was an exact reflection of the total net backwardness and passiveness of Indian Muslims in terms of overall leadership. Mr Jinnah was the only exception ;but there was no one in his lieutenants who possessed even 5% of Jinnah’s ability or strength of character. Thus political genius was not institutionalised in the Indian Muslims.In contrast Nehru relatively speaking had a much better team. There was no full time Defence Minister and the Secretary Defence, the seniormost Pakistani Muslim who could have correctly advised Mr Jinnah was apology of a fighting soldier! Sikandar Mirza had never fought any war or commanded even a company, and was more of an authority on arranging cocktail parties moonlight picnics60 or in tribal area double cross and factional intrigue than the art of war! Thus the Pakistan Army lost half of Kashmir without ever having entered it! .The first Pakistan Army formation to go into Kashmir was the 101 Brigade62. The 101 Pakistani Brigade was the first regular army formation to enter Kashmir.This act of singular decisiveness took place in May 1948. One battalion each from this brigade went to Uri and Muzaffarabad-Kohala-Bagh area,while one company (later replaced by a battalion) went to Tithwal63. In early May 1948 the Indian Army in Kashmir was reorganised.Two Divisional headquarters were created,the northern being Sri Division (later 19 Infantry Division) under Major General Thimaya (DSO of Burma and the only Indian to command an infantry brigade in actual operations in the 2nd World War); and the southern with headquarters at Jammu and known as JA Division (later 26 Infantry Division).Pir Panjals crest was the inter division boundary, but Poonch though south of Pir Panjal for sometime stayed under command Sri Division. The JAK Force headquarters was abolished64. Thimaya the 19 Division Commander planned an offensive against Muzafarabad employing two brigades;ie 161 Brigade on Uri Domel axis (4 battalions and one armoured car squadron) and the newly formed 163 Brigade on axis Kupwara-Chowkibal-Tithwal (three battalions and one squadron). The 77 Para Brigade which had reached Srinagar in first week of May was tasked to defend Uri-Mahura area.The Indian plan was ambitious and extremely difficult terrain dictated that both the thrusts ,despite numerical superiority and support of armour (which had almost zero room for manoeuvre) would not succeed. While Thimaya was busy finalising his plans for a summer offensive the Pakistani GHQ had finally taken a decision to commit 7th Division in Kashmir.The 7th Division had three brigades i.e. 10 Brigade(Abbottabad area),101 Brigade (Kohat) and the 25 Brigade (Rawalpindi). 25 Brigade was inducted in area Mirpur in May 194865. While 10 Brigade and 101 Brigade entered the war in Tithwal and Uri Sectors as we shall see in the following paragaraph. Initially 101 Brigade was looking after both Tithwal and Uri sectors but soon 10 Brigade took over Tithwal Sector while 101 Brigade area of responsibility was confined to Bagh-Uri sector 66. Advance of the 163 Brigade which commenced from 18/19 May was rapid since the militia were not expecting a brigade across a 9,000 ft high mountain, however, the advance made no progress after having reached Tithwal which was captured on 23 May.The only troops in front of the 163 Brigades leading battalion was a regular company of Pakistan Army which had finally decided to enter Kashmir.This was, however, soon reinforced by two more companies and finally by the whole 10 Brigade by 30th May67 . Thus the chances of any further Indian advance on this axis were frustrated.The other Indian thrust on Uri-Domel axis made limited progress. Here they were opposed by a regular Pakistan Army formation i.e. the 101 Brigade.The Indians succeeded in capturing Pandu which was 9178 ft high on 25 May, however, beyond Pandu the Indian advance petered out and nothing of any strategic consequence was gained as far as the 19 Division offensive was concerned. Thimaya inducted the second brigade i.e. the 77 Para Brigade also but little was accomplished.The Indians were to claim later that they were capable68 of advancing till Muzaffarabad but were restrained from doing so by their government!69 Such claims are a typical reflection of the character of Indo-Pak people regardless of religion or race and should be treated with a pinch of salt specially by foreigners . Similar claims were made by Pakistani authors about Poonch70 and Operation Venus71. The supposed facts that victory was so close and yet these noble commanders; as Indians and Pakistani authors have claimed meekly obeyed their governments;merely prove how timid and orders oriented these military commanders were. Sarrail the French General had disobeyed an order to abandon Verdun in WW One72 and history vindicated his act of disobedience, so did Lyautuey when ordered to abandon French Algeria in WW One73 and Francois a similar order to attack in a wrong direction at Tannenberg74! The history of warfare is full of examples where military commanders disobeyed orders and won battles 75, but if one wants to study how victory (that is if there is a grain of truth in what Pakistani and Indian authors assert) was not gained by obeying orders,it is Indian and Pakistan Armies that provide classic examples of such cases. These officers had joined the army as mercenaries of a subject race. Many were ex rankers and had achieved the ultimate aim of their life ;ie attaining officer rank! The Pakistan Army’s appearance in Kashmir did not lead to any spectacular results.The fatal state of indecision which had plagued Pakistani political leadership during the period October 1947-May 1948 had ensured that Pakistan Army’s introduction could at best stabilise the frontier and little else at best and still lose some more territory which had been captured by the Gilgit Scouts/Militia/Tribals. From May 1948 till December 1948 two major strategic victories were won by the Indian Army. These were strategic in the sense that although Kashmir was not entirely captured but Indian hold on two major portions of Kashmir i.e. the Ladakh and Poonch areas which was in doubt till November 1948 was at last ensured. On the other hand Pakistani political leadership conducted the war half-heartedly and did not spur or goad Gracey into launching any major offensive. Today it is fashionable in Pakistan to hold that Indians were in any case superior and Pakistan could not have captured Kashmir.This is merely a distortion of facts.The simple point to be kept in mind is that had the Pakistani political leadership been courageous enough to override Gracey. One Pakistani Brigade supported by a squadron of armoured cars could have accomplished in October 1947, what two Divisions in July 1948 failed to do. The initial situation was extremely fluid and favoured Pakistan,but the golden opportunities were missed and every minute of inaction on Pakistan’s part enabled India to augment its strength in the valley. The question was not of material or numerical superiority in October 1947, but of greater resolution and “Coup d Oeil” to seize the critical time span by the forelock. Mr Jinnah saw the opportunity but was not supported by his team and what was lost in a moment was lost to eternity. Three Pakistani Divisions were committed to permanent Guard Duty in Kashmir for five more decades and the Indian threat factor was rationalised as an excuse by Messrs Ayub and Co to make Pakistan a beautiful girl which was ready to sell herself to the highest bidder at a very low price during the period 1954-65. The Indians also reorganised their command structure in the beginning of September 1948. Previously the Sri and Jammu Divisions had been operating independently of each other.Now a co-ordinating corps headquarters was established and designated as the 5th Corps (subsequently as 15th Corps) under Lieut General Shrinagesh86. Cariappa as we have earlier discussed was the overall commander as GOC Western Command. The first Indian major strategic success in 1948 was the final relief of Poonch.We have already seen that Poonch since November 1947 had been besieged by Azad militia/Tribals and later since May 1948 these forces had been joined by Pakistan Army’s 25 Brigade.Two Kashmir State Force battalions and one regular Indian Army battalion which had managed to break through the siege from Uri Poonch axis constituted the 101 Indian Brigade holding Poonch. … (i have left out details of this operation).. The Indian plan was reasonable and well executed,but numerical odds were heavily in their favour and they could take the liberty of bypassing every position which gave them tough resistance,because unlike on the Uri-Domel axis the terrain was more open and there was plenty of room for bypassing/ manoeuvre. The other important Indian strategic success of the 1948 War was the capture of Zojila Pass and the relief of Leh.We have earlier seen that Zojila Pass commanding the land link to Kargil-Leh etc in Ladakh region had been captured by the Gilgit Scouts under Lieutenant Shah Khan on 7th July 1948. The Scouts crossed Zojila and exploited till Sonamarg and till the outskirts of Leh but could not either capture Leh or seriously threaten Srinagar as they were numerically too few and could not fight against regular army troops aided by artillery and airpower.The Indians continued to air supply their garrison at Leh,while the Scouts remained too weak to attack Leh and no regular Pakistan Army unit was sent to Leh or Zojila area. Thimaya the GOC Srinagar Division was a determined and able military commander and had firmly resolved to capture Zojila and relieve the Leh Garrison. The strength of the Pakistani position at Zojila lay in immense natural defensive strength,unusually high altitude and extreme toughness and determination of the indomitable Gilgit Scouts to defend their fatherland against the Indians. Thimaya appreciated that tanks alone could achieve a breakthrough and took the brilliant decision of employing tanks at the highest altitude in the history of warfare till that time. This record was broken by the Indians again during the Sino-Indian Conflict of 1962 once the Indians broke the record and again by 7th Light Cavalry when Stuart Tanks were employed at 14,000 feet 106. A squadron of Stuart Light Tanks of 7th Light Cavalry was brought all the way from Akhnur a distance of 445 Kilometres,in about a fortnight, in conditions of absolute secrecy107 . The tanks reached Baltal 60 miles east of Srinagar on 15th October where there turrets which had been taken separately were refixed 108. The Indians were lucky in having Thimaya (a South Indian) who believed in leading from the front.Thimaya personally flew an air recce mission over the Pass on 15th October109. Meanwhile snow fall had started and this resulted in postponing date of attack from 25 October to 1st November. Finally on 01 November the tanks, Thimaya in the leading tank110 attacked the Pass leading two infantry battalions in the attack on the Zojila. No army in the world could have stopped these juggernauts without anti tank guns and the Gilgit Scouts were forced to abandon the Pass which they had successfully held since July 1948. Following this great technological success nothing could stop the 77 Para Brigade. Thus Dras was captured on 15th November and Kargil on 23rd November111. The small Gilgit Scouts force blocking Leh was forced to withdraw and Leh was relieved. There is no doubt that employment of tanks at Zojila was the wars greatest strategic surprise, and a non armour officer was its architect. The Indian Army owes its possession of Ladakh through which it later infiltrated into Siachen Glacier to Thimaya’s genius and to 7th Light Cavalry. There were tanks and armoured cars on the other side also,but were not used because the extremely naive and miserly political leadership trusted a Britisher who had no interest in the war. By 23rd November the Indians were firmly in possession of Ladakh,had secured Poonch for eternity and were no longer in a state of imbalance which had plagued them since October 1947. The Pakistani political leadership at last realised that an effort must be made to at least assume a more threatening posture,failing which the Indians emboldened by their success at Poonch and Zojila may attempt an offensive operation which may bring them yet closer to the Kashmir-Pakistan international border112. It may be noted that area south of Poonch is mostly below 5,000 ft and operations in this area are not severely restricted unlike the higher area in the north because of heavy snowfall.Keeping this fact in view the Pakistani GHQ felt that an Indian advance towards Mirpur and Bhimbhar was likely unless the Pakistan Army now at last assumed a more responsible and offensive posture. We will now deal with the famous ‘Operation Venus’ which was given the shape of a political controversy by two gentlemen,one an army officer and the other a civil servant! By mid November the Pakistani political leadership at last realised that a more active military policy must be adopted in Kashmir. Finally the civilian political leadership was moved from its state of supreme lethargy and indecision and gave the army its first responsible political directive ; ‘The Pakistan Government therefore, directed the C-in-C that, subject only to the defence of West Pakistan frontiers with India,the Pakistan Army was to prevent at all costs, the Indians from extending the area of their occupation in the Jammu and Kashmir State’113. This directive was issued in mid November 1948 and following this the GHQ decided to move sizeable forces for offensive action in Bhimbhar Sector in Kashmir. In addition the Pakistani Cabinet asked the C-in-C to ‘examine in detail the military implications of the proposed counterstroke’114. Gracey proposed a counterstroke involving an armoured brigade and infantry brigade originating from Bhimbhar area and directed at Beri Pattan on the main Indian supply route from Akhnur to Nowshera-Rajauri and Poonch115. The aim of the projected Operation Venus as the counterstroke was code named was not to recapture Kashmir or even to recapture Poonch but in words of the official history of the Kashmir War to:— ‘FORCE THE INDIANS TO SUE FOR AN IMMEDIATE CEASEFIRE ON THE BASIS OF THE STATUS QUO AS THEIR RECENT OPERATIONS HAD INVOLVED THE MAXIMUM EFFORT THEY WERE CAPABLE OF PUTTING FORTH AT THAT TIME.THE MANOEUVRES NOW CONTEMPLATED WOULD INSTEAD OF PROLONGING THE FIGHT IN KASHMIR,FORCE THE INDIANS TO TERMINATE THE CONFLICT’116. On 14th December when the Indians resorted to some offensive moves in Bhimbhar area a ‘Modified Little Venus’ involving heavy artillery shelling on Beri Pattan area without any physical infantry attack was executed120. The shelling continued for two days and temporarily disrupted movement of Indian supply convoys on road Akhnur-Nowshera121. The Indians stopped offensive raids after this cannonade122. On 30th December the Pakistani GHQ received a signal from the Indian GHQ requesting for ceasefire123 and finally on the midnight of 31 December 1948/01January 1949 ceasefire came into formal effect. Good one Omar! Do you think Jinnah deserves the high acclaim the author grants him here (categorized with Mao and Lenin!)? Or is Jinnah simply beyond criticism in Pakistan, even in what seems like an otherwise clear-eyed analysis? Secondly, how much of Nehru’s approach of the UN in mid-1948 do you think was because it did not seem like India would be able to gain any further ground militarily? Popularly in India, Nehru’s act is considered a blunder driven by ideology without which the whole of the princely state could have been militarily captured. The author here seems to consider the Indian offensives having reached their conceivable apogee by mid-1948 (except Zoji La later). Rahul, the Indian army could have militarily won and the military brass wanted a few more weeks to decisively win. Nehru (and Gandhi) did not agree. Nehru rarely demonstrated much wisdom or cleverness in his actions and policies; often doing the right thing for the wrong reasons. India was financially very constrained and winning the war would have strained Indian finances. For this reason I think ending the war was wise. Plus at that time the possibility of warm Indian Pakistani relations remained possible. The reason I think the Indian army would have done well had the war lasted a week or two longer is because of better logistics. A major point I would emphasize is that both the Indian and Pakistani Army were led by British officers who weren’t eager to fight each other. 🙂 Not the worst thing! Do you have any references to support that India could have militarily taken the Northern Areas? Muzaffarabad is easier to imagine, since Thimmayya’s troops were already down the Jhelum past the ridgeline of the Pir Panjal. Regarding being led by British officers on both sides, that’s probably the best lens to look at the whole event through. Thank you. Rahul, I what I have heard from Indian Army retired officers is their confidence that they could have retaken a lot of territory quickly; partly because they believed that Pakistani supply lines were very strained. I would need to research supply, transportation and maintenance for both parties in granular detail to intelligently comment. What do you think would have happened had the war lasted another two weeks? Would the Indian Army have taken the plains of Punjab, forcing tactical redeployment of the Pakistani Army from much of Pakistani administered Kashmir? What was the state of Pakistani Army logistics in Northern Kashmir? Southern Kashmir? Where in Kashmir would the primary offensive effort of the Indian Army been focused? Could India have launched an offensive in Sindh or Bengal? Maybe driven down N120 towards Mirpur Khas and Hyderabad? There has been an impression in Muzaffarabadâs political circles for a long time that the Council has divested the Muzaffarabad assembly âof many of its powers which it enjoyed under the previous interim constitution, Act 1970â. In June 2015, Tariq Naqash reported from Muzaffarabad, that during Pakistan Peoplesâ Party government, the Assembly had unanimously approved recommendations for constitutional reforms, which were prepared by a special eight-member parliamentary committee. âThe recommendations, which envisaged curtailment of the powers of council among other things, were sent to the Muzaffarabad law department, with a direction to table them in the Assembly in shape of a bill,â the report said. âHowever, the matter failed to see any progress in the following months, notwithstanding the change of government in Muzaffarabad in 2016, mainly because of restrictions in the interim constitution on unilateral amendments about the issues related to the central government. â Gilgit Baltistan assembly In the meeting between Hiader and Khaqan that has taken place on Wednesday, the media reported the PaK leader sought âoutright abolition of the councilâ and termed it as âroot of all problemsâ and source of his governmentâs powerlessness. âThe abolition of the council will empower the government in Muzaffarabad and will also do away with the impression among the younger generation that all powers were wielded by Islamabad,â Haider is reported to have conveyed to the Pakistan leader. This is the basic fault which many in Pakistan – even a Major – are doing. The basis of Partition as far as the Princely states were concerned was the decision of the Prince . Only on this basis 526 Princely states in 1947 joined India or Pakistan. It was not will of the people or any referendum, purely one man’s (or woman’s) decision. Kashmir was no different ; any ‘Promise’ given any Indian or Pakistani politician about any ‘referendum’ are really illegal and unconstitutional. Jinnah tried to arm twist a vacillating Maharaja of J&K , and that backfired . In the case of the latter, the Nizam ended up signing accession to India. The Nizam was militarily defeated. He didn’t really have a choice, did he? Pandit Nehru promised in front of the UN that the will of the Kashmiri people would be ascertained. Anyone who thinks that that promise is meaningless is going against your own tallest leader. The first condition of the UN Resolution is ….. Pakistan withdraws all it’s military, tribesmen, and all those Pakistani citizens not normally resident. Other conditions of UN Resolution run sequentially after this. We know how much of the UN Resolution as followed up. The Nizam wanted Hyderabad Deccan to be an independent country. He did not necessarily want to join Pakistan. Obviously, for India to have such an independent country right in the middle of it would have been unacceptable. But that doesn’t justify the military annexation. The point of the Kashmir and Junagadh comparison is the hypocrisy of India (as we see it in Pakistan). The choice was supposed to be left to the princes (who were supposed to keep in mind the demographics of their states). If the Hindu Dogra Maharaja could accede to India against the wishes of the Kashmiri Muslim population, than the Muslim Nawab of Junagadh had every right to accede to Pakistan against the wishes of his Hindu populace. But India held a “referendum” in Junagadh, knowing they would win. The Nawab fled to Karachi. No “referendum” will ever be held in Kashmir, even if Pakistan were to fulfill the first condition of the UNGA resolution. India knows that asides from the local “collaborator class”–Muftis, Abdullahs, etc– Kashmiri Muslims want out. They either want merger with Pakistan or with “Azad Kashmir” or they want a Kashmiri nation (which would also involve merger with “Azad Kashmir”). Kashmiri Muslims may be confused about what exactly they want, but the vast majority of them know they do not want to be “Indian”, held to what they see as a “Hindu” country by force. The situation in Jammu province, which is now of-course Hindu majority, is different. But the people of the Valley don’t feel “Indian” as the events of the last three decades have amply demonstrated. Given the volatile situation then, 1 and 2 are just fine. I don’t have 100% of info on Junagadh to form on opinion, except that the then Prime Minister Bhutto (grandfather of Zulfikar) was forced to run away. Incidentally, the Princely states had only 2 options, either India or Pakistan , Independence was never on the cards. That was the advice of the British to the Princes as well as the geo-potilical reality. In the Sate of Travancore, the Prime Minister toyed with the idea of Independence and sent emissaries to Jinnah . That was against the wishes even of the local Prince. One night , he was beaten up by unknown people – suspected on the Prince’s orders – and he dropped further adventures along those lines . No one in Tranvancore regrets that violence on the then Prime Minister , who was very soon given high posts by Jawaharlal Nehru . It was on his suggestion that India passed a law banning separatist political parties. Irony !! Yes – but my point being is both Hyderabad and Junadagh wanted to accede to PAK. Another stipulation for princely states to join India or Pakistan is geographical contiguity. The British foreign office opined that Junagadh, which is surrounded by Gujarat on three sides is considered contiguous with Pakistan due to the open sea route. Regarding Hyderabad state, the rumor goes Nizam did not trust Jinnah. It is a shia vs sunny thing. Nizam made good adjustment with government of India, became governor of the Hyderabad state under Indian union and elected later to parliament. Thanks to V.C. Vijayaraghavan for asserting some historical facts. There were other princely states that were reluctant to join the Indian union. Mysore and Travancore were among them despite having hindu monarchs and demographics to match. In Mysore there was rioting and police action to shut down the press, journalists were jailed. The Maharaja and diwan eventually acquiesced after the state congress party unit showed its strength. In Travancore, there was an assassination attempt on the king supposedly plotted by a faction of socialists, his resistance didn’t last long afterwards. Zachary “I think Partition was a mistake (but then I have issues with Indian Independence; I think we should have taken over the Empire”. This I wholly agree with . I think it was a same side goal by the then Muslim leadership . They could have continued a modernized Indo-Mughal heritage fit for 20th/21st century. And what about Nehru and Gandhi? What about them? N and G stood for United India till the last moment when they suddenly caved in esp Gandhi. Jinnah was a high voltage negotiator and N and G were no match for his tactics – given the non-violent methods they had chosen. One other way (from Congress PoV) was to make the British Indian government wholly responsible for delivering United India even if it takes some more time than 1947. They were prisoner of their slogans till then , i.e. British Quit Now whatever may happen to us (Indians). Anytime there is big change in political dispensation it gives rise to demands for separation like this due to a mixture of fears, panic and opportunism . In 1991 , when the Apartheid South Africa was about to end and African majority rule was negotiated, Nelson Mandela was in the position of Congress and Buthelezi with his Zulu party was in the position of League. Buthelezi tried all means to get greater powers for Zulus including separation from South Africa. Just like Hindu-Muslim violence during 1940-1948 , hundreds and thousands of people died in inter-tribal violence But Mandela never gave in to his demand and stuck to United South Africa which will be democratic. Mandela won where Gandhi failed ; Buthelezi is a failed Jinnah. I don’t like the partition because of the way it was partitioned (very hastily and haphazardly causing misery and loss of human life) and why it was (two nation theory,TNT, that was proven to be false). Beyond that I like yours and others’ thoughts on how it would have been possible to govern a land extending from borders of Iran to Andamans as a democracy in 1947. That is a continent to grapple with. Resembles Mexico-U.S.-Canada together as one nation state. With novice rulers like Nehru, Jinnah (who were the best available at the time) was there a chance for such an entity to survive with best of religious goodwill? Thanks. Such an entity would not have survived as a democracy especially with the level of religious polarization that had been created. It would have been a kind of empire ruled from Delhi. The Cabinet Mission Plan was supposed provide some sort of autonomy but Congress saw it as a “balkanization” of India.